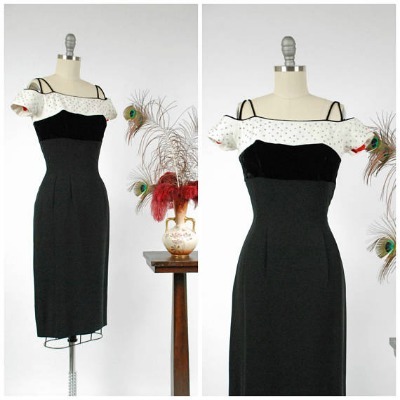 Check out these vintage fifties fashions that are available for sale now from a few of our favorite shops..
Punxsutawney Phil has predicted six more weeks of winter. 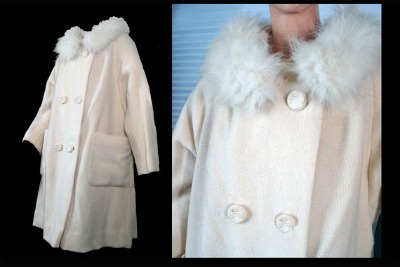 This vintage wool swing coat available from Susie's Boutique Cloths is just the ticket for those cold winter days. 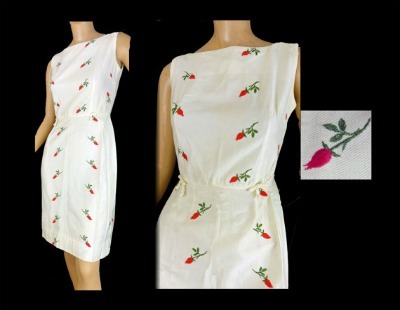 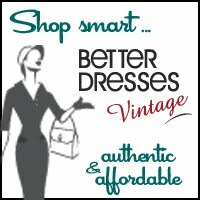 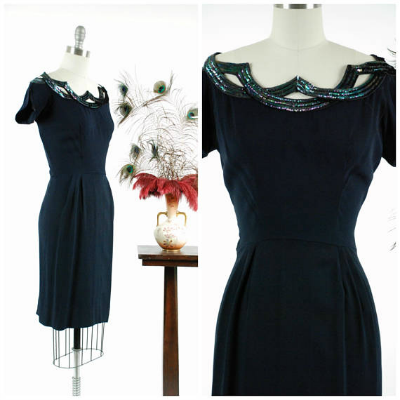 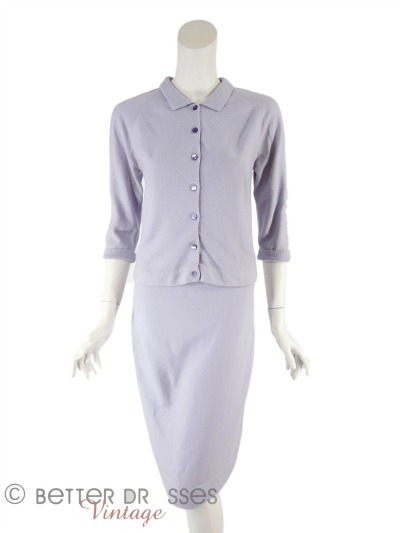 A few vintage fifties' fashions available from Better Dresses Vintage. 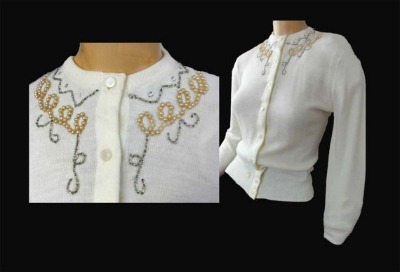 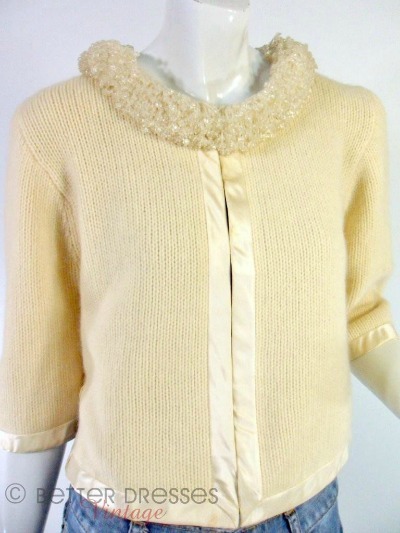 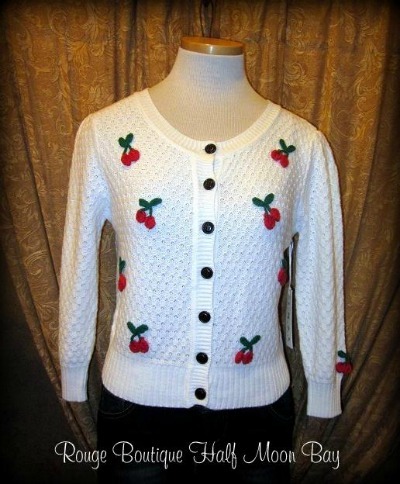 Don't you love this vintage beaded collar cardigan in a lovely vanilla color? 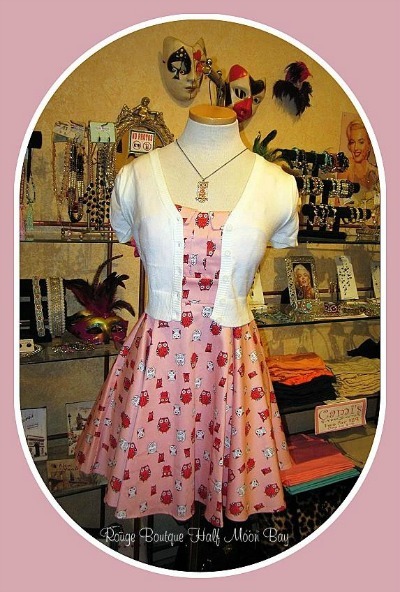 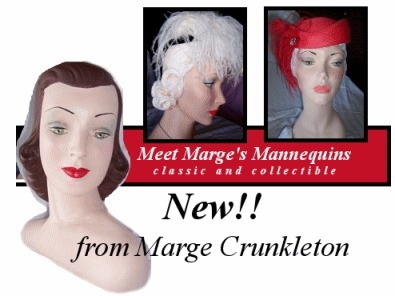 These Retro fashions from Rouge Boutique Half Moon Bay are available in all sizes. 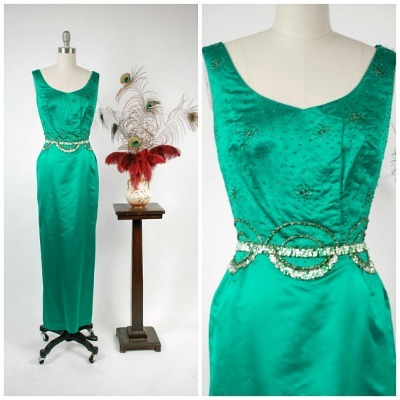 Fab Gab vintage 50s fashion offerings follow.